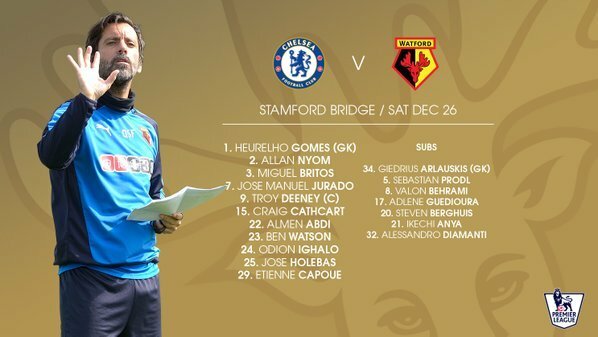 Welcome to Standard Sport's live coverage of Chelsea's clash with Watford at Stamford Bridge! We'll be bringing you updates from 2pm ahead of the big game, but in the meantime, check out our comprehensive match preview here including team news, odds and more! The last time Watford visited Stamford Bridge in the Premier League was November 2006 when the Blues - champions at the time too - went on to beat the Hornets 4-0. So team news is in! 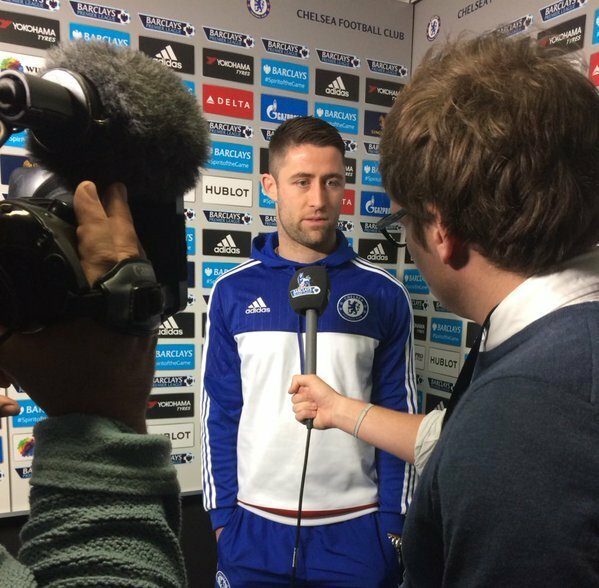 And Hiddink has decided to make just one change in his first game back in charge of Chelsea after deciding to drop Kurt Zouma for Gary Cahill in central defence. He has, however, left Eden Hazard on the bench for the game at Stamford Bridge following the Belgian's recovery from a hip problem with Willian, Oscar and Pedro keeping their places in Chelsea's attack behind Diego Costa. That combination worked last week against Sunderland but how will it fare against high-flying Watford? Have your say in our poll above! 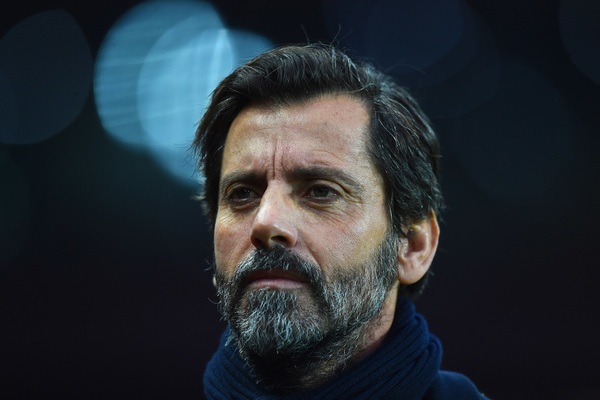 Meanwhile, Watford boss Quique Sanchez Flores has also made just one change to the Hornets side that thrashed Liverpool 3-0 on Sunday after replacing Nathan Ake - who is ineligible to play against his parent club Chelsea - with Jose Holebas at left back. Chelsea: Courtois, Ivanovic, Cahill, Terry, Azpilicueta, Fabregas, Matic, Willian, Oscar, Pedro, Diego Costa. Watford: Gomes, Nyom, Britos, Cathcart, Holebas, Abdi, Watson, Capoue, Jurado, Ighalo, Deeney. So today will undoubtedly be a big match for Hiddink and his team as it'll give the Dutchman the chance to show he can turn the season around for the champions, similar to when he was appointed manager in 2009 following the sacking of Luiz Felipe Scolari. We do wonder, though, how the fans will react to the players after Diego Costa, Cesc Fabregas and Oscar were booed last week just days after Jose Mourinho was relieved of his duties. You feel another win will appease the supporters, but Mourinho's departure has certainly left a bad taste in the mouths of fans - and one would think that won't be forgotten so easily. Still, it's all about looking forward for Chelsea and they will need to secure a win today as they still sit just three points above the relegation zone in 15th place. 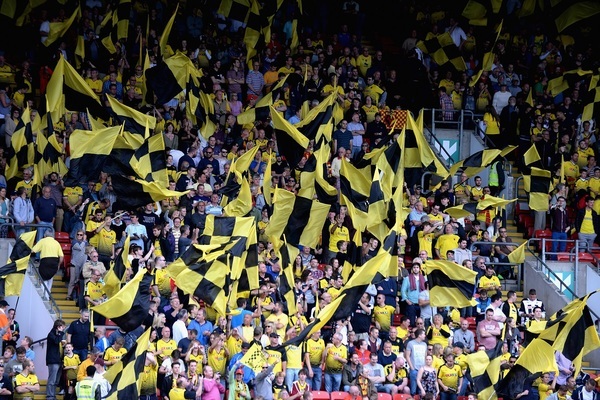 Watford, on the other hand, have really proven themselves to be the surprise package this season and they arrive at Stamford Bridge on a four-match winning run. Who would have thought they'd be sitting 10 points clear of champions Chelsea in seventh place at this point in the season?! 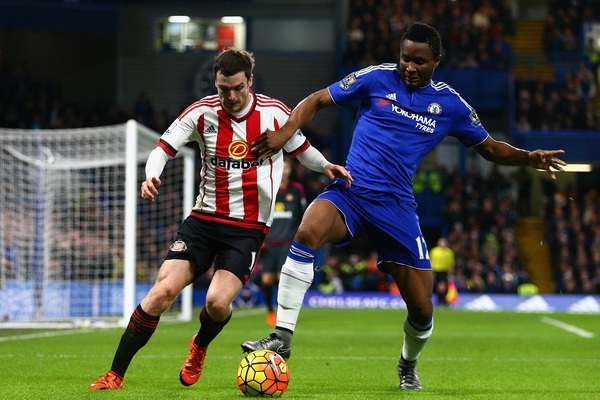 John Obi Mikel will make his 350th appearance for Chelsea should he come on against Watford today. If he does, he will be only the 21st player to achieve the feat in the club's 110-year history. He is always like a father figure to the team, speaking to the players individually, putting an arm around them and getting feedback from the team on what we think problems are and then trying to fix them. Mikel, there, clearly believing Hiddink is the right man to lead Chelsea out of their current woes. He has previous experience of playing under the Dutchman having made 16 appearances when Hiddink was in charge in 2009. Meanwhile, Manchester United's game against Stoke has finished 2-0 to the Potters - a result that will have heaped the pressure on Louis van Gaal. 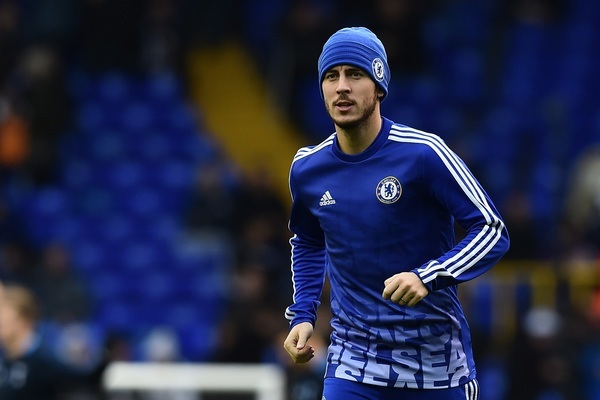 We have just ten minutes left until kick-off at the Bridge! Get your match predictions into us via our poll below! Is he one of the best managers I played for? Yes, of course, he's a very good manager. The teams are out! Kick-off in just under three minutes! 3 MINS: CLOSE! Chelsea go on the counter attack through Pedro on the right flank before the winger crosses in for Costa. The striker gets the better of Cathcart but heads the ball just high! 8 MINS: Chelsea get a corner, which comes to nothing but the ball goes back out for another corner. Willian takes it, whips the ball into the area but Costa just can't make contact. Meanwhile, Capoue has escaped a yellow card although Chelsea have been given a free kick. Willian takes the set piece, but the ball curls just beyond the far post. 10 MINS: Chelsea get two corners in quick succession - both of which are dealt with by the Watford defence. The Hornets attempt to break, but Oscar's sliding challenge on Jurado in midfield results in a free kick for the visitors. There haven't been any audible signs of discontent from the home fans so far, although the atmosphere isn't exactly lively at the Bridge. 14 MINS: Watford play the ball into the path of Ighalo - who, of course, has been in sublime form for the club this season - but Cahill does enough to stop the striker before Chelsea are given a free kick for Ighalo's tug on the Blues defender. 17 MINS: Watford get into the swing of things and have enjoyed a good spell of possession these last few minutes. It results in Holebas - in for the ineligible Ake - to deliver a great ball into the area which Cahill clears. Watford take a corner, and it ends in Jurado firing in a ball over the Chelsea defence for Ighalo - who drives it wide! 20 MINS: Costa gets through on goal down one end but is denied by some quick thinking by Gomes before Ighalo's fancy footwork sees him dribble past Terry down the other end of the pitch - only for Cahill to put him off and allow Courtois to deal with the danger. 27 MINS: The tide has seemingly turned in this game, with Watford looking much more confident while Chelsea are beginning to look unsure and on the back foot. And Ighalo is proving increasingly dangerous for the visitors. GOAL! 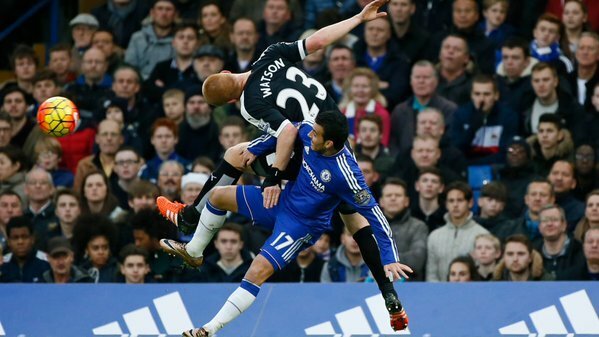 Costa has opened up the scoring in superb fashion for the Blues! The move for the opener came from Willian's corner (which had been won by Costa) and the Brazilian's shot was headed down into the path of Costa by Terry before the Brazilian turned and fired the ball into the back of the net as Watson and Deeney looked on. Chelsea 1-0 Watford! 38 MINS: CHANCE! Ivanovic plays a one-two with Fabregas and then cuts back for Oscar, who can only blaze over. ...and he equalises!!! Chelsea 1-1 Watford!